KickStart Cashflow Blog » 18% - 25% Net Cashflow ROI - 100% Turn Key! 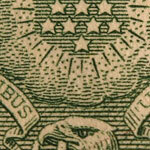 Is the finance vault opening for foreign nationals? In a successful meeting with Rochester Mayor Robert Duffy and Bret Garwood, Director of Business and Housing Development, Matt Scherb opened up the conversation about helping foreign nationals get financial leverage in the USA. We’re meeting with Rochester Mayor Robert Duffy tomorrow! On the the agenda: how Real Estate Investors can play a role in the revitalization and growth of Rochester’s neighborhoods and communities. 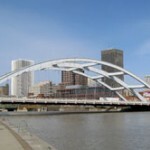 Rochester is among the Top 20 US Metro Economies, according to a study by the Brookings Institution, out of Washington. NuWire Investor has confirmed what we’ve discovered, and that is that Rochester, NY is the #1 cashflow hot spot in the USA. Where are you going to invest for the best returns? Personally, I’m following the SMART money! 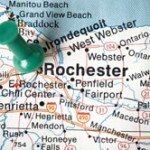 Rochester has again been recognized as a hub of higher learning. Two weeks back, The Daily Beat released their 2nd annual list of the “Smartest and Dumbest” cities in the US. They ranked metropolitan areas with populations of greater than 1 million on a number of factors, including the number of Bachelor and Graduate degrees per capita, the number of institutions of higher learning, total non-fiction book sales, and availability of public library services per capita. Rochester landed a solid #10 spot out of 55 ranked cities, indicative of the quality of Rochester’s populace, as well as the jobs and higher education institutions available to residents. Boston held the top seat as head of the class, while Las Vegas was relegated to wearing the dunce cap in the lowest spot (down from 2nd last place in 2009). This polar opposite standing of North vs. South at the extremes of the list highlights what you will find upon plotting out all the cities and their standings; with a handful of exceptions, there’s a very clear, strong trend for Southern States tend to lag far behind the Northern States in terms of the level of education of the general population. In our successful meeting with Rochester Mayor Robert Duffy and Bret Garwood, Director of Business & Housing Development, a number of thoughts and concerns were raised with regard to the challenges that foreign national investors face when investing in the USA. Among the bigger issues was the question of Financial Leverage and how foreign national investors can access lending at reasonable rates and terms. As every Real Estate Investor knows, your ability to grow a significant portfolio is heavily impacted by your ability to use financial leverage to own or control high-value assets with only a portion of the value invested from your own funds (if any at all). Without financial leverage, you can still develop a very high ROI portfolio, but it will be limited in growth the amount of capital you have to invest at a rate of 1:1, plus your ability to generate new capital and re-invest your returns. When Matt Scherb expressed his concerns to the Mayor that several of his associated foreign national investors have invested millions of (unleveraged) dollars and closed well over 100 property deals in the past 2 years, and it could have been 4 times more, the Mayor immediately recognized the power of foreign national investors in helping to rejuvenate and improve Rochester. 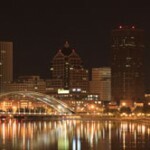 Is the door opening for finance in Rochester for foreign national investors? Possibly. It’s still early days, and it’s likely to be a long road, so we will keep you up to date right here on this blog as we progress. If / when that door opens, it will provide a huge leap forward for those who are already investing and have their systems and properties in-hand and producing an ROI that can be demonstrated to the lenders. My prediction for how this will affect the Rochester cashflow rental marketplace is that deals will be far more accessible in terms of initial investment required, and in far greater demand because of that. The supply of deals will possibly dwindle as a result, and we may see the prices start to rise. Regardless of finance or not, I believe that now is the time to secure high cashflow property while prices and cashflow levels are reasonable… let the potential for future financing to be a bonus on top of an already outstanding deal. In the meantime, now is your chance to secure high-ROI rental properties before the possible shortage and higher prices as the stock becomes more “accessible” to those who’ve positioned themselves to ride the wave in advance of it arriving. I’m personally looking forward to the chance to triple, quadruple, or maybe even quintuple my portfolio in a very short time should we achieve some sort of finance deal with the Mayor’s or City Hall’s assistance. We’re excited about our meeting with Rochester Mayor Robert Duffy tomorrow! The main item on the the agenda is the role Real Estate Investors can play in the growth and revitalization Rochester’s neighborhoods and communities. Ultimately, it is our goal to have a unified understanding on the issue of growth trends in the city, security issues in our neighborhoods, and how our respective organizations (City Hall and investors’ collaborative actions) can work together to deliver smart value where it is needed most, and continue to make Rochester a great place to live, work, and invest. This is one of the highlights of our year — it’s not every day that you get an audience with the Mayor of a city of over 1 million people! I’ll be taking copious notes on the discussion, and hopefully catching it on video as well, if possible, and will report back here on the KickStart Cashflow blog on the outcomes of the meeting. A proactive and progressive City Council headed by Mayor Robert Duffy has not only been tough in cleaning up crime, but has also placed Rochester among the Top 20 US Metro Economies, according to a study by the Brookings Institution, out of Washington. With a history in the “film business”, and an economy hinged to the success of Eastman Kodak company, Rochester has had to redefine it’s place in the information age as the world turned to digital imaging. Fortunately, Xerox Imaging, Bausch & Lomb, and a number of other world-leading multi-national corporations also call Rochester home, and the growth of information and high-tech industries in and around Rochester has helped keep the local economy in good shape throughout the downturn. © 2019 KickStart Cashflow Blog.